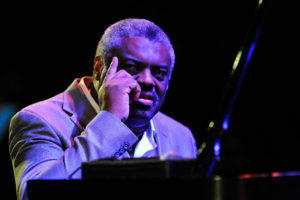 I’ve been invited to be a part of a celebration of Mulgrew Miller’s music at Dizzy’s Club Coca-Cola – part of Jazz at Lincoln Center here in NYC. It’s being held on what would have been Mulgrew’s 58th birthday and will feature some pretty great musicians. …we believe that “because jazz is rooted in the blues, it inspires us to face adversity with persistent optimism,” and saddened as we are by the loss of Mulgrew Miller, we intend to honor him as he lived – in the joyful spirit of jazz, with great positivity, companionship, and musicality. I’m so flattered to be a part of this celebration of my friend and mentor. Make a joyful noise.